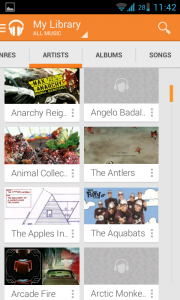 Apollo is CyanogenMod’s (a very popular custom ROM) official music player. 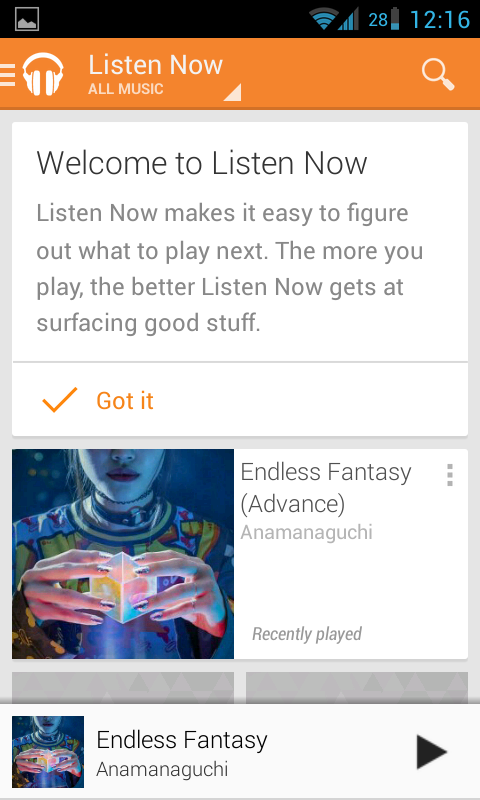 It comes with it by default, and was written specifically to replace the stock Google music player on past versions of Android. The thing is, not only does it replace it, it really does manage to surpass it. Putting aside the fact that it’s beautiful, it also performs excellently, and offers just the right amount of features to the point where it’s not overwhelming. 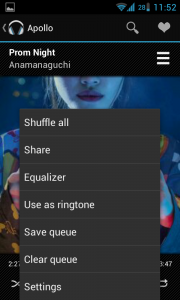 It will automatically detect your library and fill its info as you go along playing it. 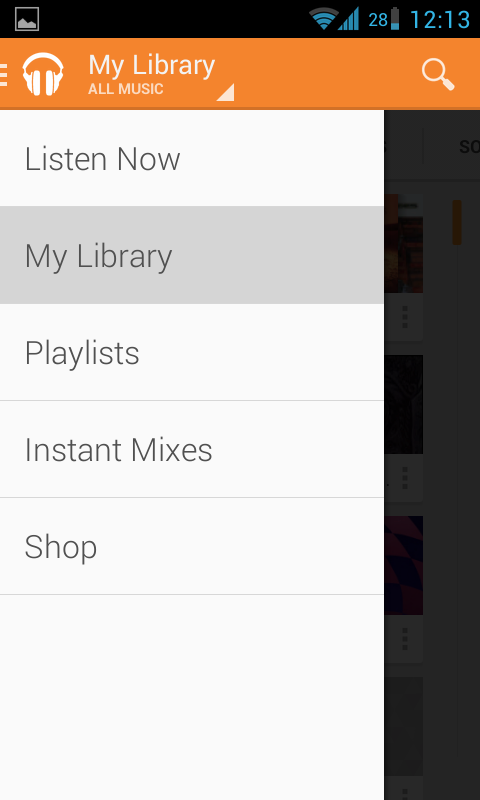 It also offers a bevy of interesting interface choices, like allowing you to reorder your playlist on the go, or easily switching from the library view to whatever is currently playing. It currently lacks lyric fetching, due to some legal troubles, but we all expect it to come back soon. All around, super solid, fast and pretty. And free! The proper way to get Apollo is by installing CyanogenMod, but you can find the standalone application here and install it without any major issues. 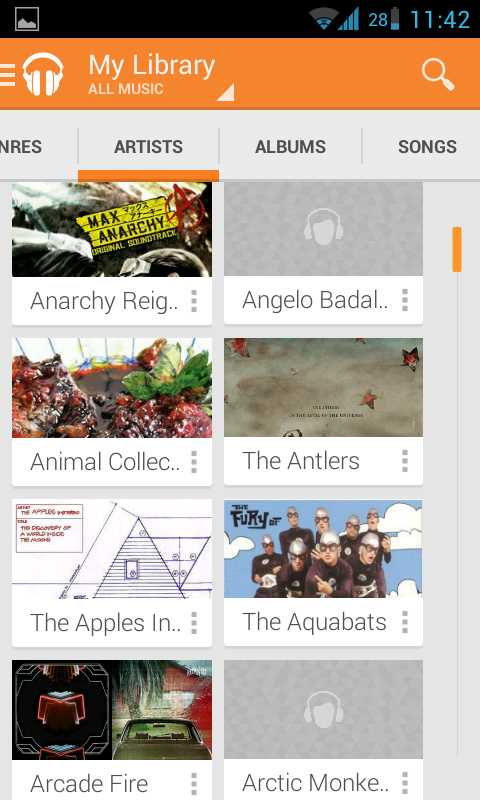 Poweramp is the grandfather of alternative music players for Android. It has been around for ages, growing in features and evolving in look alongside Android itself. Because of that, it’s incredibly polished and feature-filled. 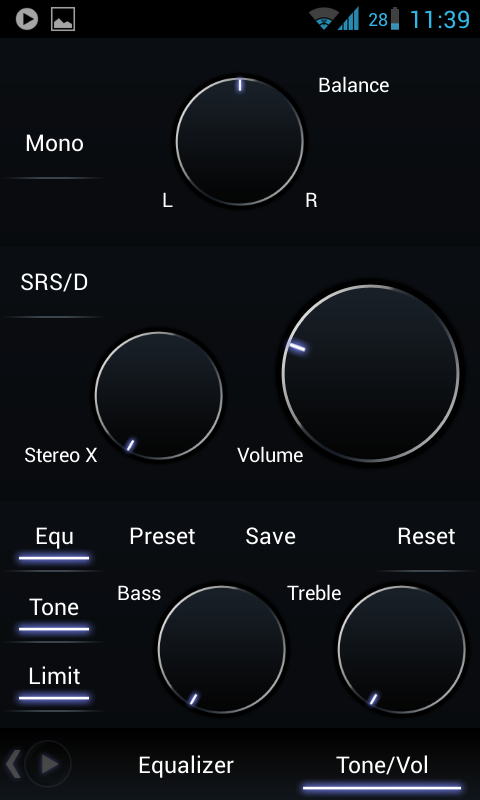 It also has a very unique interface and layout, and a original bevy of settings you don’t see every day. 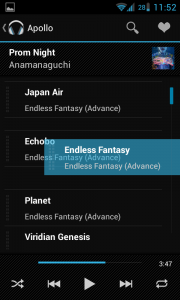 That’s why it’s one of the most recommended music players for Android, and a shining example of a good app. So, it’s no surprise it makes the list, though I am not afraid to say that it’s not my favorite, and I think it’s overkill for most people. The advanced features are nice and all, and hidden away unless you seek them, but every once in a while you may accidentally stumble upon them, or feel the urge to mess with them, and that’s not too good if all you want is to listen to your music. 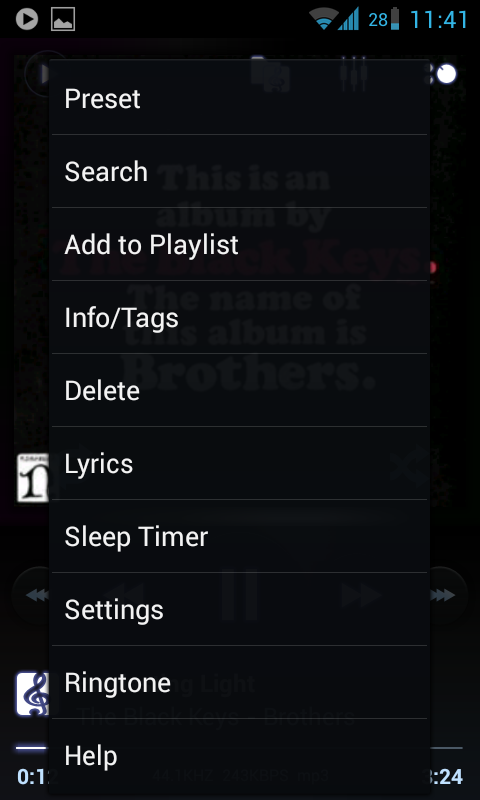 There are a few awesome features, like fetching lyrics and artist info, which some competitors just don’t have. The interface is also very polished and unique, but doesn’t appeal to my taste, as I prefer the Holo-esque, native Android look of most of its competitors. Still, if you’re serious about your music, you have to give Poweramp a spin. You can find a 15 day trial here, more than enough time to figure out of it’s for you or not. Yeah, we all know about this one. 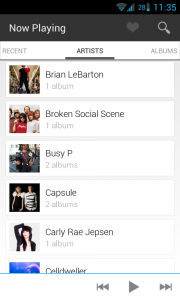 Google’s very own music app, doubling as some sort of marketplace and cloud solution, has recently got another update, bringing forth a new visual and some new features, including the very publicized “All Access”, offering unlimited streaming. 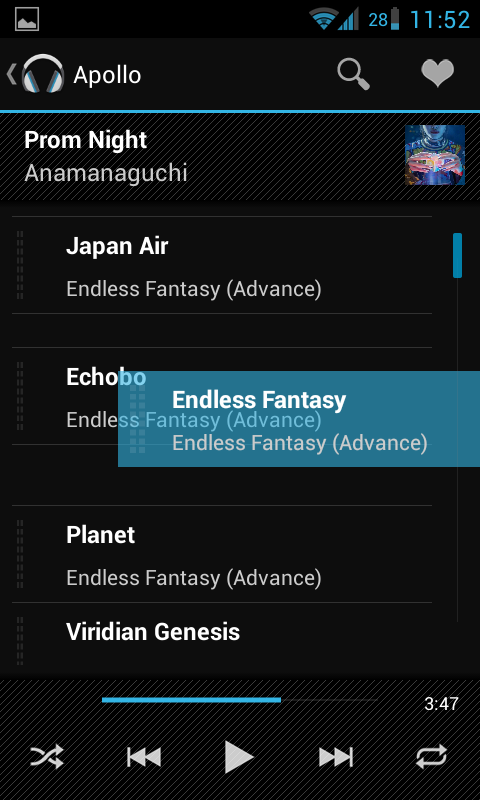 But putting all that cloud non-sense aside, it’s also a very solid music player by itself. 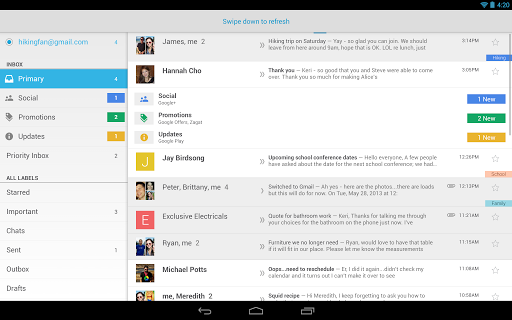 The interface is very nice, with modern Android UI elements and flashes of the Google Now card interface. It all makes sense, offering an artist view, album view, and so on. 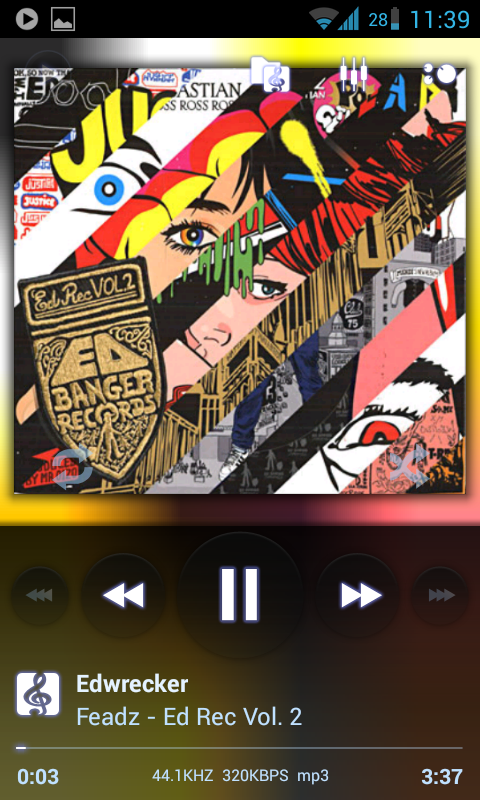 The Now Playing screen also allows you to edit your playlist on the go, which is nice, but offers very little else. 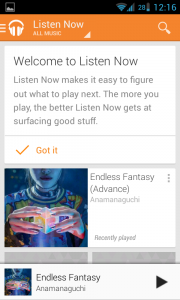 It also offers a “Listen Now” screen which suggests you what to listen to next, which can be good if you’re unsure of what you’re in the mood for. It’s a solid music player, but comes with a lot of fluff you may not need, especially if you’re not using the cloud service at all. It all kind of ends up bogging down the whole experience, which is curious when you consider that the whole thing has a very simple design. You can download this app for free here, if you don’t have it already. This is a somewhat recent app that made some waves because of its unique interface and ease of use. 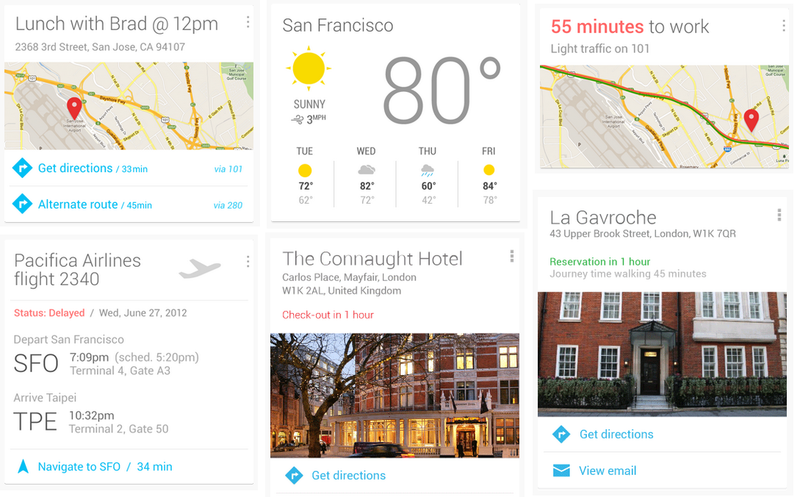 It was created to offer an interface inspired by Google Now, and that much is clear from the finished product. However, what could be a simple gimmick, ended up not only looking really nice, but feeling really nice to use as well. The interface is very simple, not cluttered, and the author also implemented some eye candy in some of the animations to make the whole thing that much more appealing. 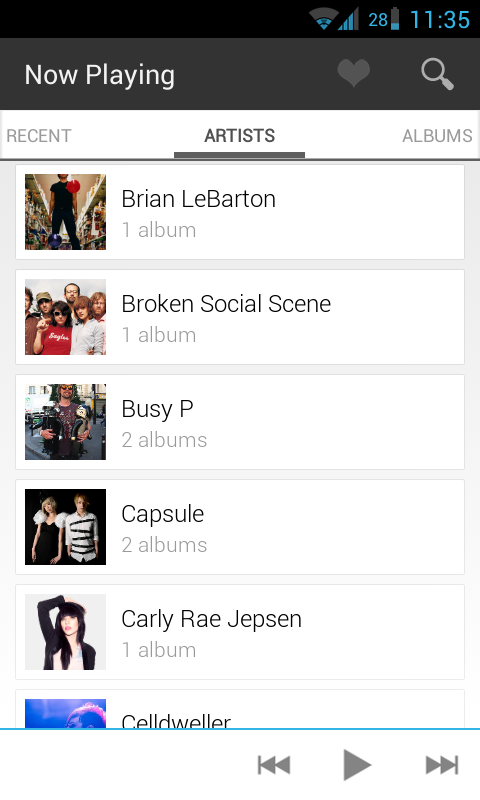 The app offers your standard views: album, song, artist and so on. Nothing new there. 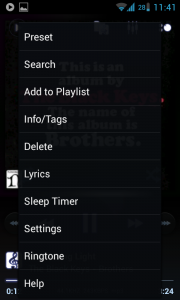 The “Now Playing” screen offers three distinct views however, and you can switch them by simply scrolling the content, easily switching between the playlist, album art and lyrics, which it fetches automatically. It’s a very simple and smooth experience, and the design does pay in the end, but if you’re looking for advanced features, better look elsewhere, because it really just tries to incorporate the essentials along with a few candy features, like Last.fm support. If you’re interested, you can find a 5-day trial here. And that about does it. These are my picks, and the ones I feel represent a somewhat wide range of solutions for your hearing pleasure. 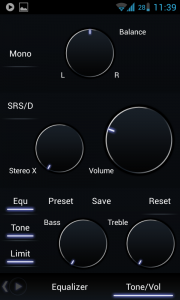 There are plenty more out there, and I even came across some very exotic apps, but if all you want is to listen to your music with as little trouble as possible, these are what I recommend. As usual, tell me what you think and let me know if you have other apps in mind, and thanks for reading! Thank you for yr post. So far I only using Google Music Player replacing the standard one. Just because I love the icon. I’ll try using other application to find out which one is more easy-to-use.